A little pick-me-up for an internet friend. Friends come in all shapes and colours and places and times. Some you’ve never even met. Some you haven’t spoken to. You have no idea what their voice sounds like. Do they have an accent? Do they sound kind? Or funny? Or do they hold back? And listen? On the surface they may seem like merely words on a screen. But the right words at the right time can change everything. 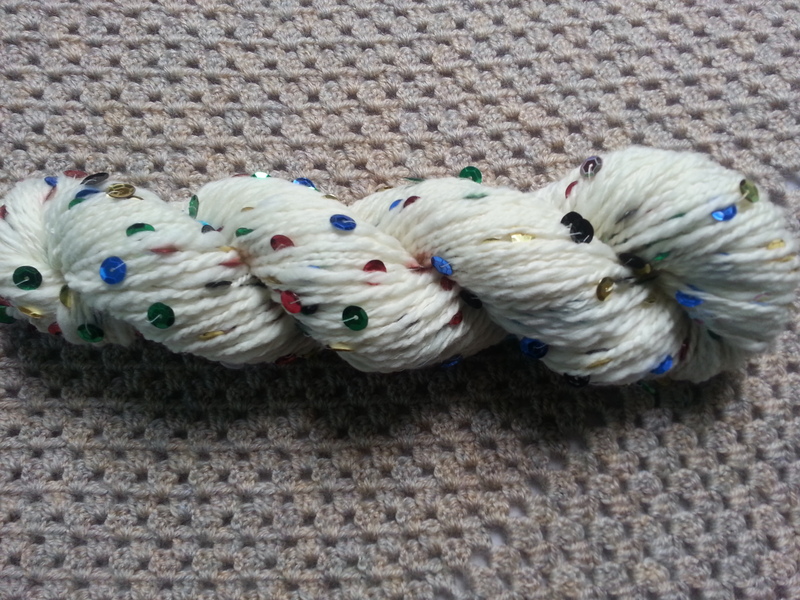 Composition: 70/30 merino silk, polyamide thread and sequins. Length: 241m / 264yd approx. 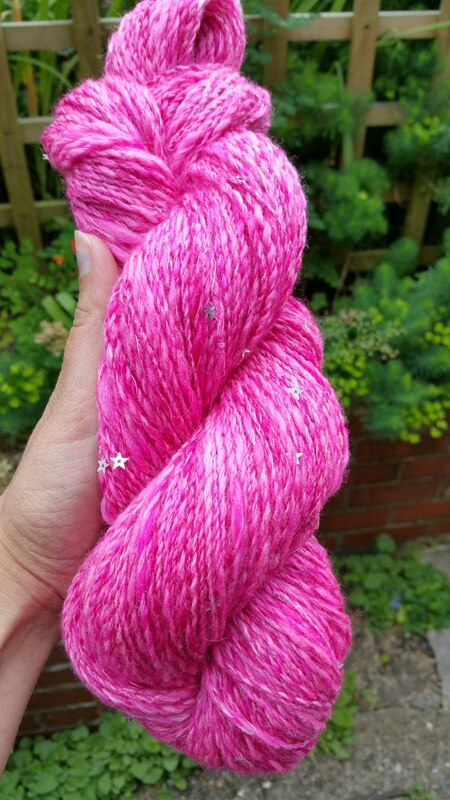 Beautiful BFL from Defarge Yarns, complemented perfectly with flower sequins and tiny stars. Like the kiss of dew on the moorland heather, misty morning softens the landscape like a voile curtain. It is cold before the sun rises up to chase the dewdrops away. So many views from one landscape over the course of just one day. And then night will fall, and the flowers will be hidden, and the midnight sentinels will mark paths in the sky. Length: 201m / 220yd approx. This was such a fun commission! 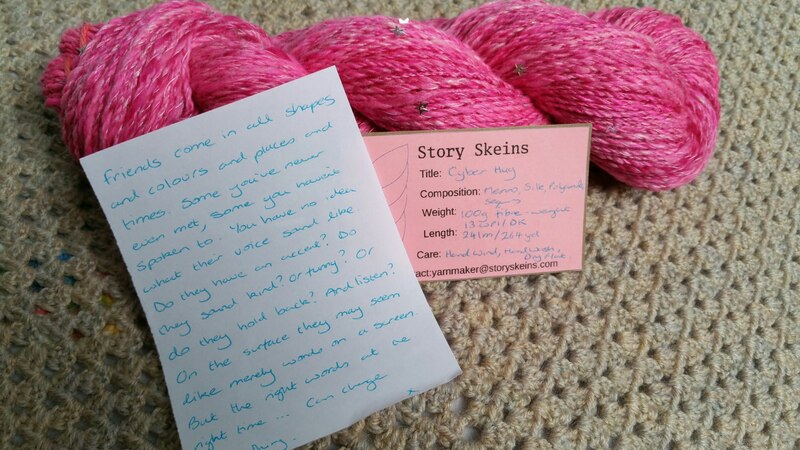 By the time the yarn was made I could just imagine a little tardis whizzing through the scene. The vast, empty void. The vacuum of space. But the rest of space is empty. Except for the planets and moons and comets and asteroids. 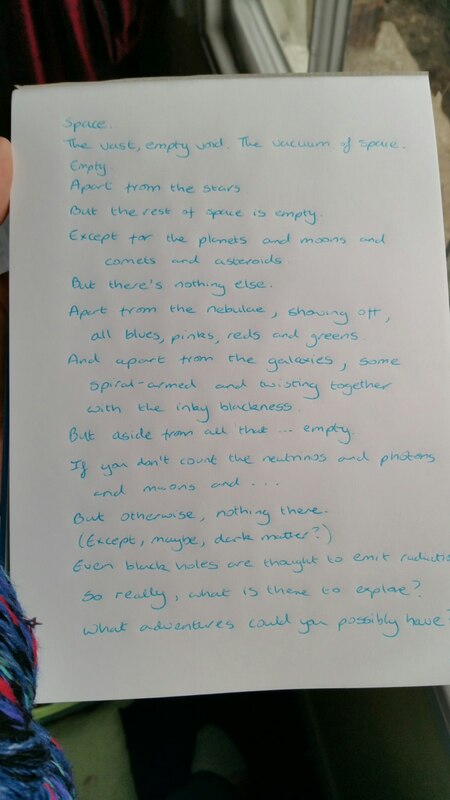 Apart from the nebulae, showing off, all blues, pinks, reds and greens. And apart from the galaxies, some spiral-armed and twisting together with the inky blackness. But aside from all that … empty. Even black holes are thought to emit radiation. So really, what is there to explore? What adventures could you possibly have? 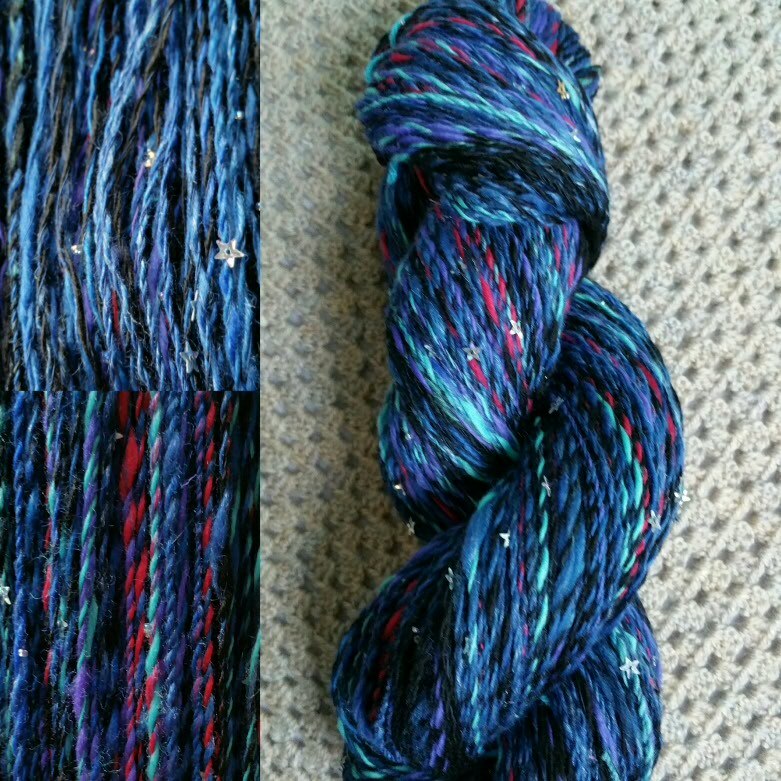 Weight: 120g (fibre weight) / 14 WPI / DK to sports weight. Length: 360m / 394 yd approx. A fun commission. 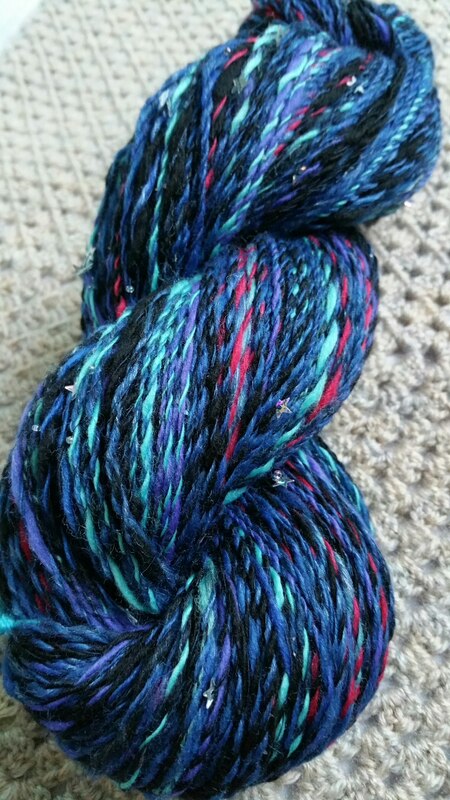 I loved the way this yarn turned out. Do you remember Wham Bars? They were a favourite when I was a little girl. Occasionally they’d come as a free gift, stuck to the front of my Beano! They were my first taste of popping candy. The slick, pink background was scattered with fizzy rocks that exploded on your tongue, sending showers of stars over your taste buds. Pops, crackles, crunches and sizzles unleashed sensory overload! The candy treat dissolved, leaving just the sweetness of a memory. Length: 259m / 284yd approx. 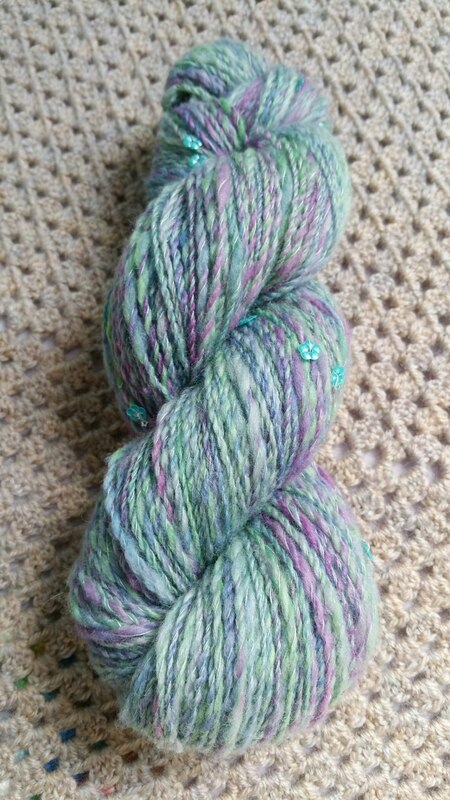 My first sequined yarn, and still one of my favourite skeins. I love the combination of simplicity and impact. With mischievous characters leaving gem-trails in their wake. A place entirely of imagination. Composition: Organic Falkland, Sequins, Polyamide thread. Length: 124m / 136yd approx.